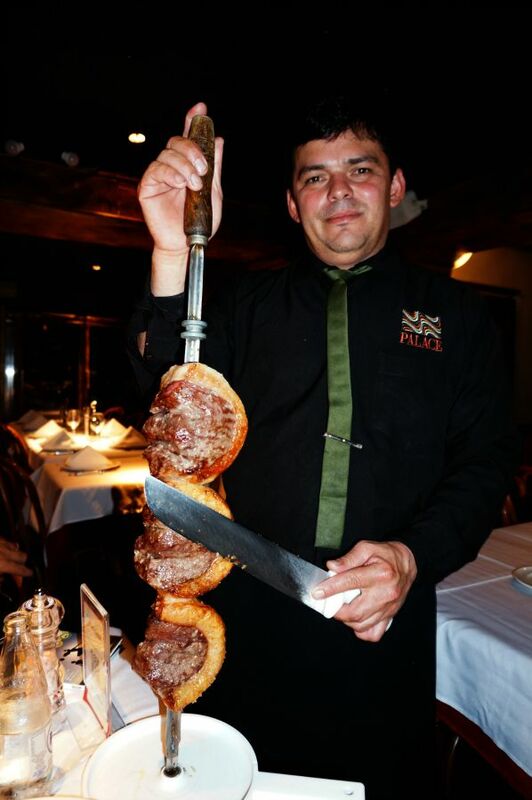 Have you ever eaten in a Brazilian steakhouse (referred to as a Churrascaria in Brazil)? I’ve been to several and there are a few typical features. I thought I understood what they were all about, until I actually went to one in Brazil. But why should that have been a surprise? This place can turn you into your own worst enemy. The waiters come along like a continuous wave of temptation. I told myself that I would start becoming more selective but each time another skewer was extended I offered by plate and gave a submissive nod in reply. Restraint has never been one of my strong suits. 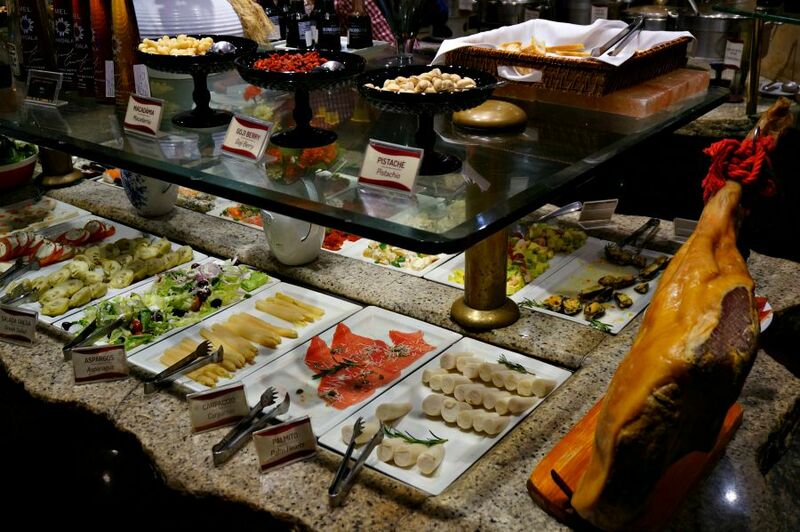 And then there is the expansive buffet with everything from seafood and salads to Italian prosciutto to a selection of gourmet cheeses. It’s easy to get stuffed quickly – but our host swore that if you take a break from eating and enjoy some pistachio nuts and some Parmesan cheese, your appetite comes back. And you will need it – there are more temptations to come. 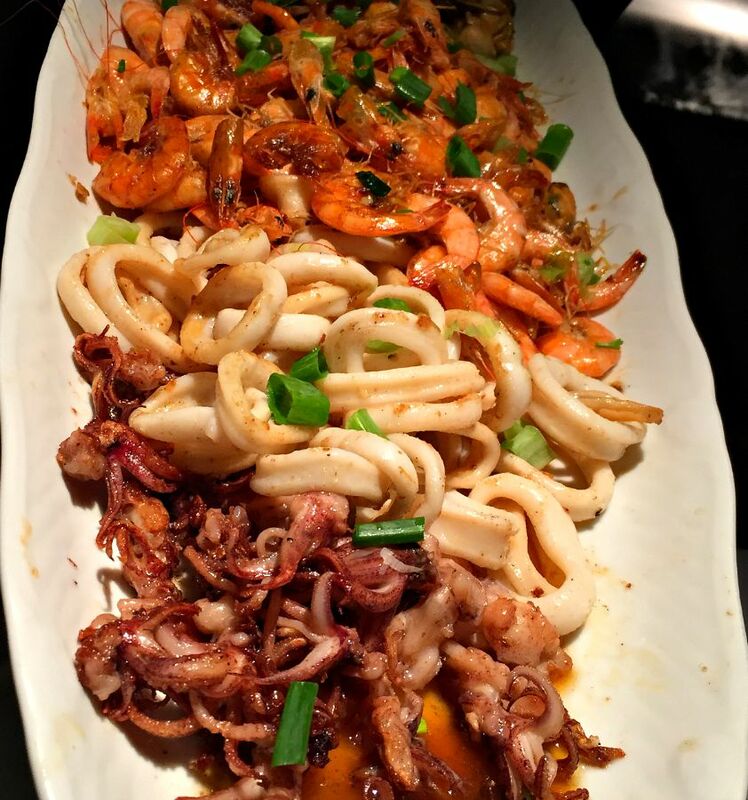 This seafood platter was the first to arrive, followed closely by mini-chorizo (sausage) links. How could you say “no” to this face? The staff here are part of the reason that this place is so special. They are very attentive and take your enjoyment of the experience personally. Some of them have worked in the restaurant for over sixteen years. 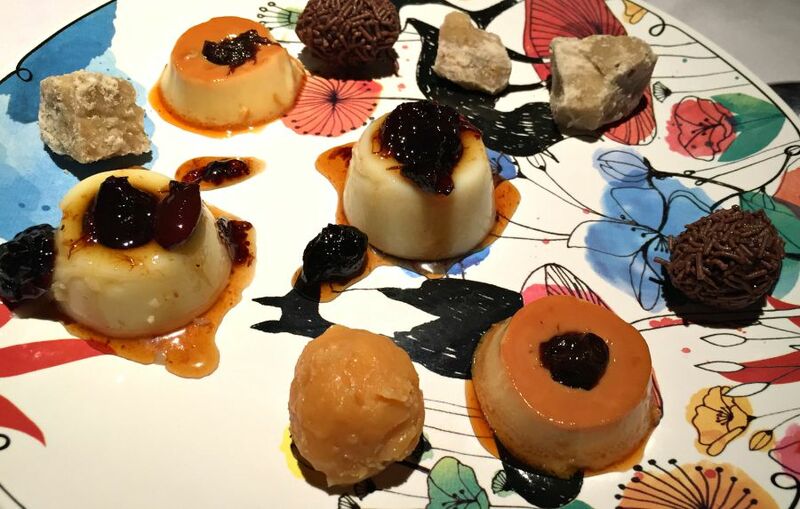 The Palace’s place as one of the top restaurants in Brazil is a point of honor. 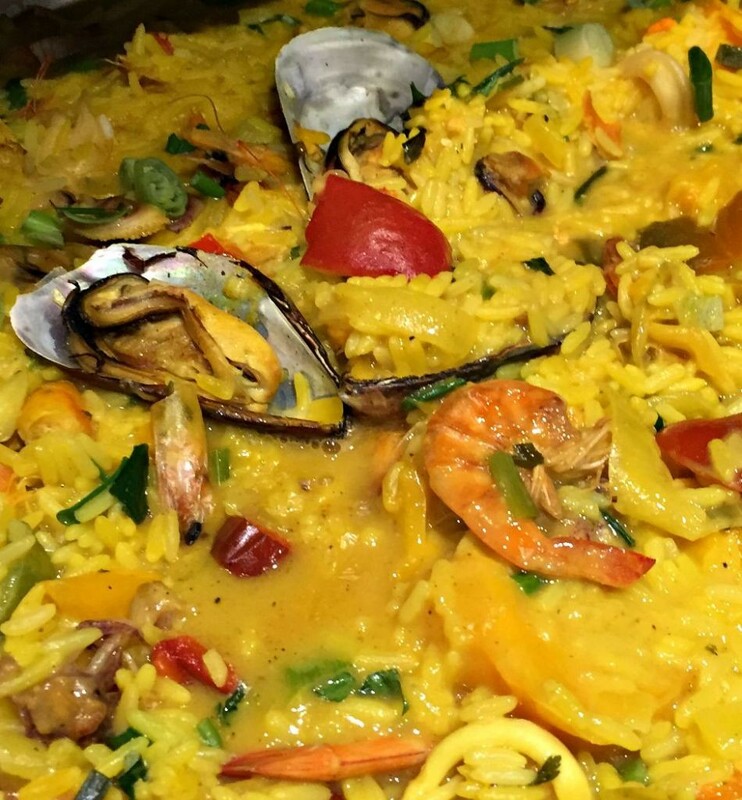 This is the kind of dinner to savor slowly and enjoy with some local spirits. We were treated to tasting of Tiquira as the evening began to wind down. 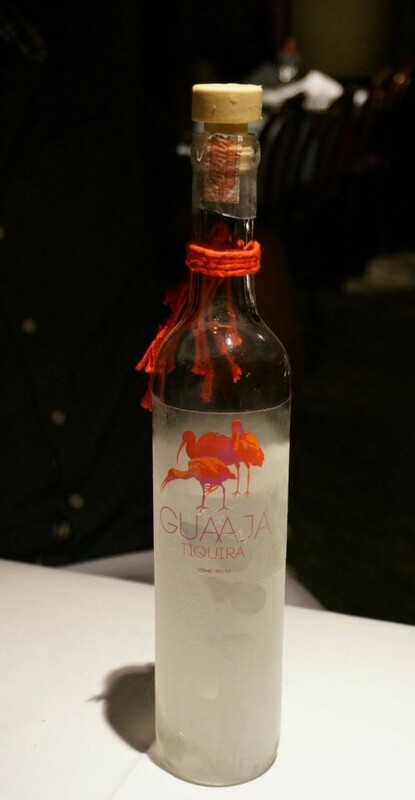 This is liquor made from the distillation of manioc, or yucca root. If distilled improperly, the results are literally toxic. It might seem ill-advised to drink it – but tonight was not a night for caution. And my inability to restrict myself was well rewarded. We finished off (or should I say we were finished off) with a sample dessert plate. 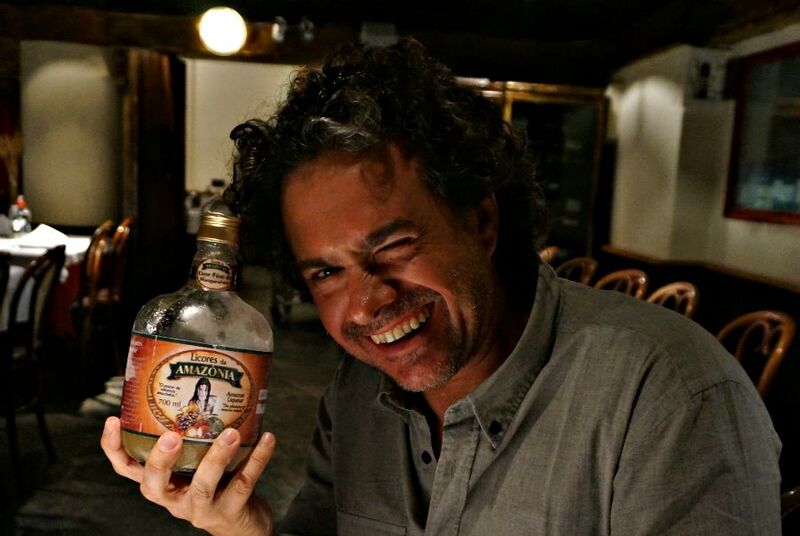 It was introduced to us by the Churrascaria owner, Antonio, who joined us toward the end of the evening. 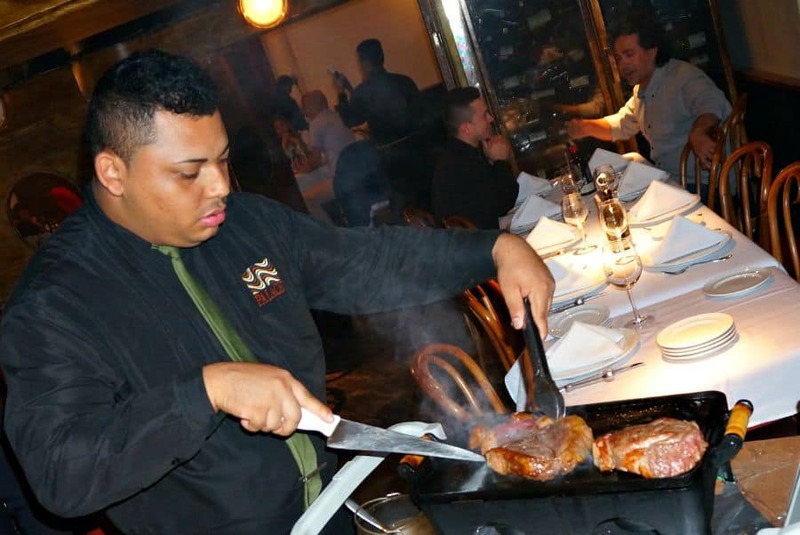 My previous experiences in other Brazilian steakhouses around the world (i.e., unlimited portions but poor quality and service – if you’ve been to one, you know what I mean) was very different here. Upon leaving the restaurant we firmly decided that we were never going to eat again. Against our own better judgement, we had succumbed to temptation, over and over. But, of course, it wasn’t long after this night that we started thinking about going back for another visit. Do you think Antonio, the owner, is at all regretful of filling his guests with excessive amounts of food and spirits? Of providing an atmosphere where having an over the top experience is not only encouraged but expected? I think not. When you eat here, you see people smiling and having a good time, thoroughly enjoying the indulgence. And, as I waddled my way out the door, I thought to myself, without a doubt, so did I. 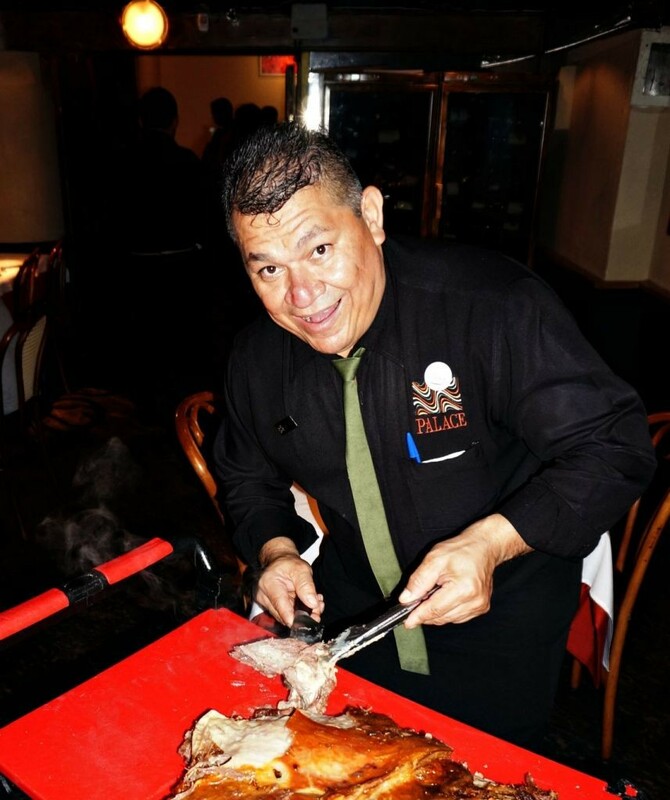 A special thank you to Antonio, who hosted us as his guest for our evening at the Churrascaria Palace. Our opinions about the experience, remains our own. We are currently living in Germany, a place that greatly lacks awesome and quality beef (we are in land of the pork, after all!) Looking at all this delicious meat has my mouth watering!!! I always say that part of traveling and experiencing culture is partaking in local foods. YUM! 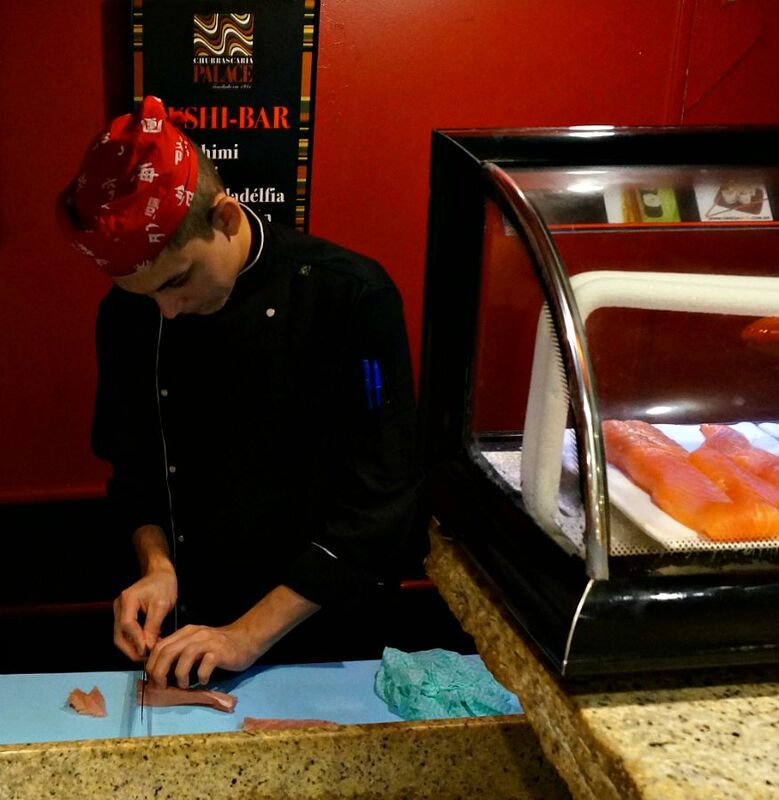 We always say that the best way to learn about a place is through the cuisine. We agree on the YUM! Wow now this looks incredible, perfect food in the perfect place!!! I loved that you kept pushing yourself to try more and more! I would have been right there with you. My favorite dinners are the ones intended to savor slowly, eating for hours, and being a huge meat lover this type of meal is right up my alley. The yucca root liquor sounds quite interesting! The “eat some pistachios and your appetite will come back” trick didn’t quite work for us, but that’s the idea – eat for hours! Nice post with vibrant photographs!! That skewer, wow, it’s huge! And looks so delicious! So much food! I’m getting hungry now even if I just ate, haha. It really looks delicious. And I’ll be sure to stop by a steakhouse if I end up in Copacabana. 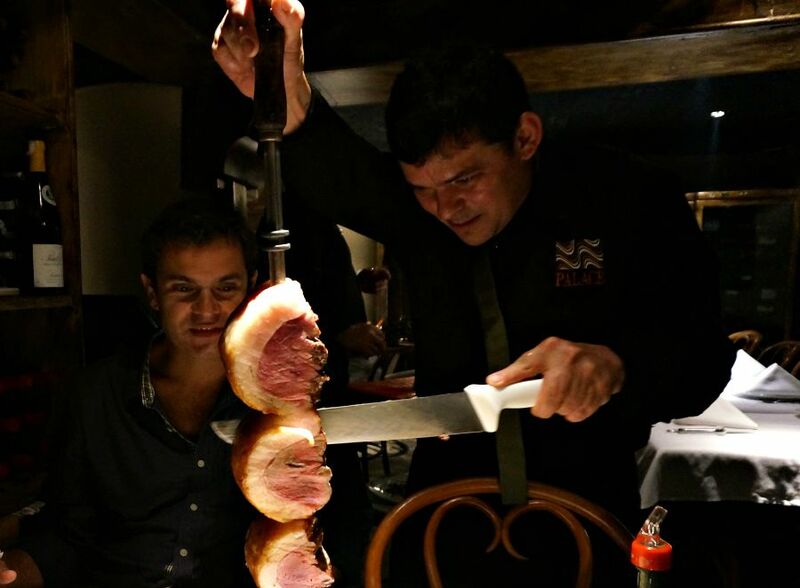 I’ve never been to Brazil, but have been to a few Brazilian restaurants where they go around and continue to serve you meat until you tell them to stop, same concept. That’s nice that the owner took the time to join us towards and the end. I wouldn’t of been able to stop eating all those delicious desserts. That’s a lot of food! Being Portuguese, I’m used to this type of restaurant in Portugal due to the big Brazilian community. This reminds me it’s dinner time! You see the Portuguese influence all over Brazil – like the cool tiled sidewalks along the beaches, very similar to Lisbon. Indeed j don’t think the owner regrets filling everyone with excesses! Loved churrasquerias! Did you see that smile? No, he had no regrets! I don’t really eat much meat, but I could see how this could be a carnivore’s heaven! I’d be all over the gourmet cheeses at the extended buffet. Oh and the desserts… and probably drink too much of the local spirits. We could have skipped the meat and just had a massive meal at the buffet. But the meat was too good. It looks like a great restaurant with a big variety and everything looks so tasty! Ahhh! The food looks so good!!! I love churrascaria’s! We have not tried a place like this as we always seen the price and know we could never eat enough to justify it – especially the kids! 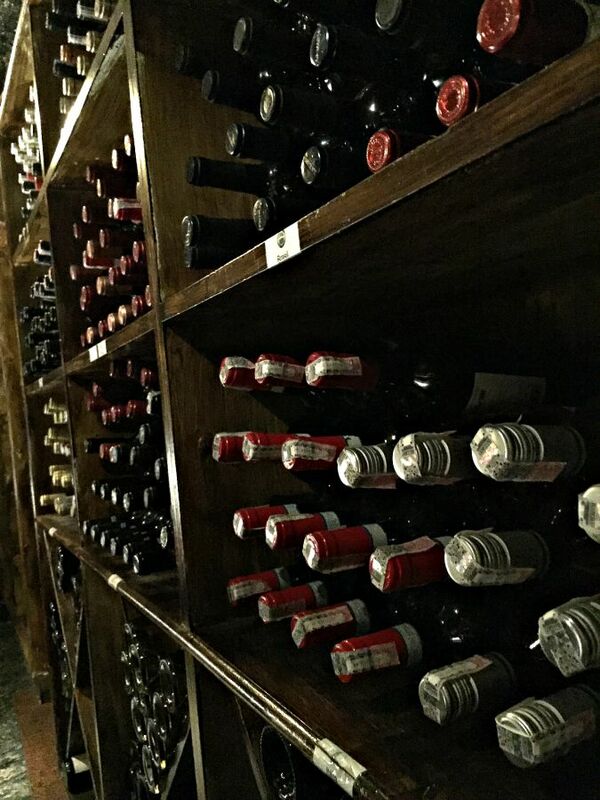 But, perhaps one day we will have to splurge….after not eating for a week. LOL! It really does look like a wonderful experience.